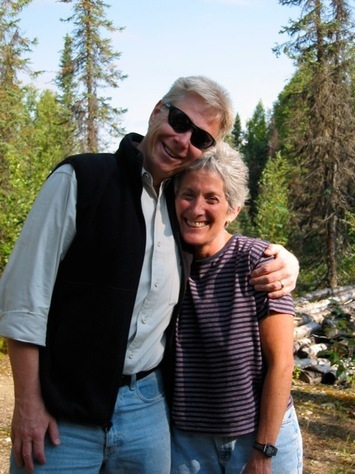 It’s hard to find a couple more active in our community than Steve Lindbeck and Patty Ginsburg. Steve and Patty share a passion for making our community and state a better place to live – and for joyously involving others in their causes. They are truly shining lights for their accomplishments in their careers, public service, philanthropic support and community engagement. Steve brings a 30-year history of journalism and public affairs to his current role as President and General Manager of Alaska Public Media. Previously, he served as UAA Vice Chancellor for Advancement, Associate Editor of the Anchorage Daily News and Executive Director of the Alaska Humanities Forum. Steve’s volunteer service spans a wide variety of boards and committees, including the Anchorage Museum Association, the World Affairs Council, Big Brothers/Big Sisters of Anchorage and United Way of Anchorage. In less formal capacities he has volunteered his time to the Anchorage Cultural Council, Alaska State Council on the Arts review panels, Downtown Anchorage Rotary, Anchorage Youth Symphony and Commonwealth North. Patty, a former journalist, is well-known for her exemplary communications and public relations skills. 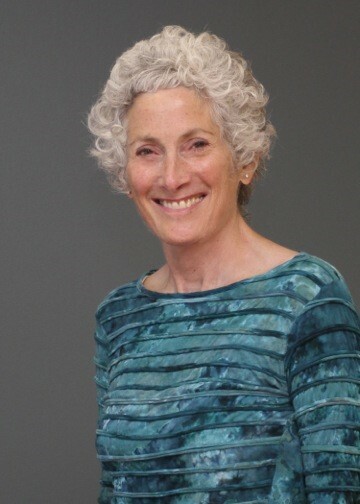 Over 30+ years, she has helped a wide range of clients and causes, including nonprofit organizations, political candidates, for-profit companies and educational organizations. Steve “goes the distance” with his service. 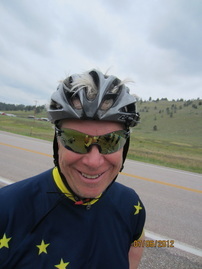 In 2012 Steve combined a lifelong dream (to bike across the country) with a tribute to Patty’s survival from lung cancer, by biking 3,300 miles from Seattle to Washington, DC, in support of the American Lung Association. Since few people can say no to Steve’s enthusiasm, he raised more than $30,000 for ALA, far exceeding the minimum $6,500 goal. Patty is equally known for her commitment to building awareness of causes such as lung cancer. As a lung cancer survivor, Patty’s goal is to give hope to and inspire others diagnosed with lung cancer. She is currently Chair-Elect of the seven-state American Lung Association of the Mountain Pacific board. In 2014, she formed Team Patty and biked her first “century” (100 mile bike ride) in the Clean Air Challenge. With Steve as co-captain, they collectively raised more than $20,000 for research and support for those affected by lung disease. Patty remains committed to leading a physically active life, having run 15 marathons to promote good health and raise funds for critical causes. "It gives me comfort to use some of my life challenges – depression, lung cancer, food issues – in support of others who suffer the same. My sister calls it “therapeutic use of self.” It’s why I’m such a proselytizer about exercise. It has so benefited my life that I want to share it with others." Patty was born and raised in the San Francisco Bay Area. But nowhere had she felt part of a community until coming to Alaska at age 31. Within two years, she felt a stronger tie than she’d ever felt in California. 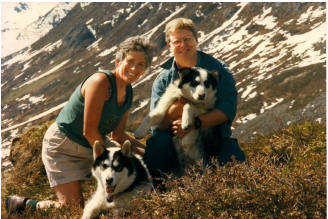 Steve moved to Anchorage with his family in 1968, graduating from West High. He returned to Anchorage after finishing his college degree, but tried to leave again three times. It just wouldn’t stick. Alaska kept pulling him back. "Like others of a certain age, we toy with the idea of moving to warmer climates. We’re stuck here by attachment to the place we love." Together, Steve and Patty embrace life with enthusiasm, humor and a deep love for each other, their friends and their community. Their actions embody “Tikkun Olam,” an effort to repair the world and make it a better place.